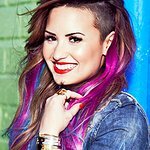 Help raise funds for STOMP Out Bullying by purchasing special tickets to see Demi Lovato in Sunrise, FL. The concert takes place on Tuesday, February 25. Mention Stomp Out Bullying when you buy your tickets and not only do you get a preferred rate for the best seats in the house but STOMP Out Bullying also gets a donation. STOMP Out Bullying is the leading national anti-bullying and cyberbullying organization for kids and teens in the U.S. It is the brainchild of Love Our Children USA, who since 1999 has been the ‘Go-To’ prevention organization fighting all forms of violence and neglect against children in the U.S.
To find out more and take part in this offer, click here.